Toronto designers Erin Feasby and Cindy Bleeks of Feasby & Bleeks Design brought new life to a quiet breakfast corner by employing this secret pro plan: add the colour black and repeat. The duo painted the frames of the existing window and patio doors in a deep blackish hue to give them the high end look of steel-framed versions. To dress the space, graphic monochromatic textiles designed by Kelly Wearstler are used for Roman shades and cushions on the banquette. 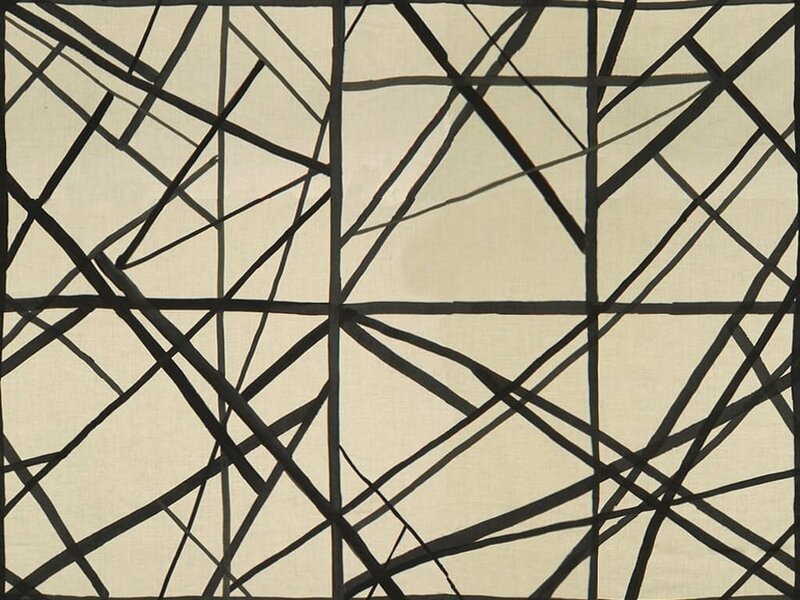 Seating upholstery stays neutral for style longevity and a note of visual quietude. 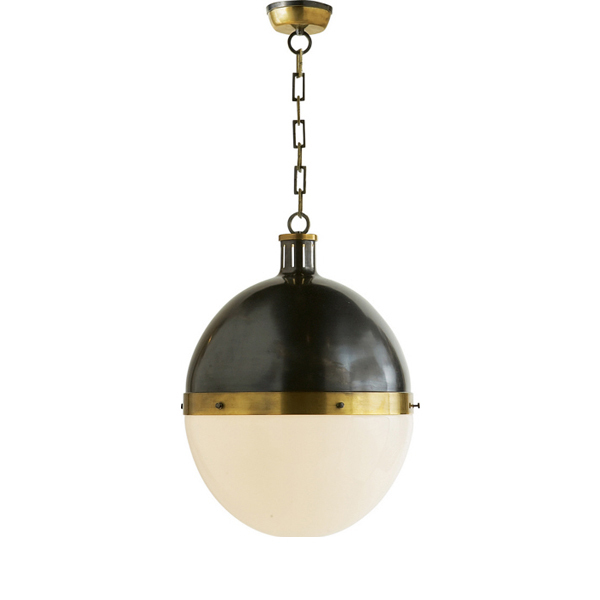 The Hicks globe pendant is the crowning jewel for the space, since it brings together the colours and finishes used in the rest of the kitchen, which features, white upper cabinets, black countertops, deep charcoal lower units and brass cabinet hardware. Find items from this Feasby & Bleeks room, or similar, at Cocoon Furnishings. Visit our resource centre in the showroom to source these fabrics and many many more for your custom sewing projects like cushions and window treatments. See more of this project and get the full story on the makeover, including before photos and insights from the design team in this House & Home video featuring Erin Feasby.